Fats, oils and grease (FOG) accompany food preparation and cooking. In case of their improper disposal, when the homeowners pour them down the drains, FOG after the coagulation can plug your drain lines and eventually clog the local sewers. Grease accumulation in sewers causes them to overflow. As a result you get damaged homes, businesses and the environment. Removing grease from your local sewers costs a significant amount of money every year. 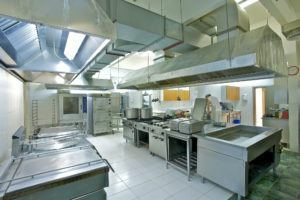 A lot of grease is produced by commercial kitchens and food courts, where grease traps are either too small or not properly installed/maintained. Grease traps simply trap grease as their name presumes. A grease trap is usually located under the sink or other kitchen appliance and is connected to it. Baffles inside the grease trap slow the wastewater down which allows grease to separate and ascend to the surface. Then grease can be eliminated properly. If the trap is passive, it is cleaned by hand which is a dirty and smelly job. 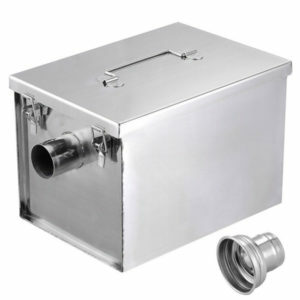 Electro‐mechanical grease traps require less manual assistance and are more efficient because collected FOG is automatically removed every day. 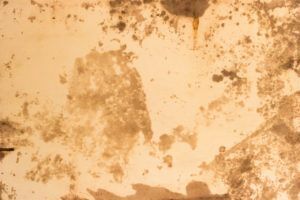 It is important to keep the following inspection list in mind when it comes to installing and maintaining grease traps. Proper capacity. If the grease traps are too small in size, they just can’t prevent some of the FOG from entering the sewer system. If they are too large, hydrogen sulfide gas can be created as a result, which may be converted into hydrochloric acid, which can dent metal and concrete structures downstream. Grease traps should be sized based on the combined flow rate of the connected fixtures, including the sink, dishwasher and sink drain. The presence of a flow-control valve. These T-shaped metal fittings regulate the rate of wastewater flow into the trap and protect against sudden gushes from the sink or other fixtures from overloading the system. When two or more sinks/fixtures are connected and served by one trap, a single flow-control valve can be used. The presence of an air intake for the flow-control valve. The flow-control valve must be accurately vented to allow air to mix with the fluid entering the trap to maintain proper pressure. A vent will prevent a vacuum forming inside the trap, a vacuum that usually causes water to enter the grease trap too fast. Appropriate clearance. Traps should be accessible for cleaning and inspection, no matter if they are located inside the kitchen, outside the building, or above/below ground. Adequate distance from fixtures. Inspectors and restaurant owners can refer to their authority having jurisdiction for local regulations concerning appropriate water temperature and the grease trap distance from fixtures. Intact construction of the trap. It should be crack-free in any part of the trap, including the baffles. Garbage disposal should not empty into the grease trap. Crushed food scraps will overload the grease trap and reduce its working operation. Solid food scraps will rot in the trap, producing foul smells and dirt. Water tightness. Underground grease interceptors must be watertight and crack-free to prevent the infiltration of groundwater or the leakage of grease into groundwater or public sewers. The lid should fit tight. If you require professional help in this matter, you can always contact Brea/Orange County Plumbing Heating & Air Conditioning, a full-scale plumbing and heating contractor.